Figures – Page 2 – How Do You Figure? Today, my long awaited Kotobukiya Yoko arrived in my mailbox. I’d also recently received Ban Dai’s rendition of Yumemiya Arika in the past few weeks, so let’s take a look at these newcomers. 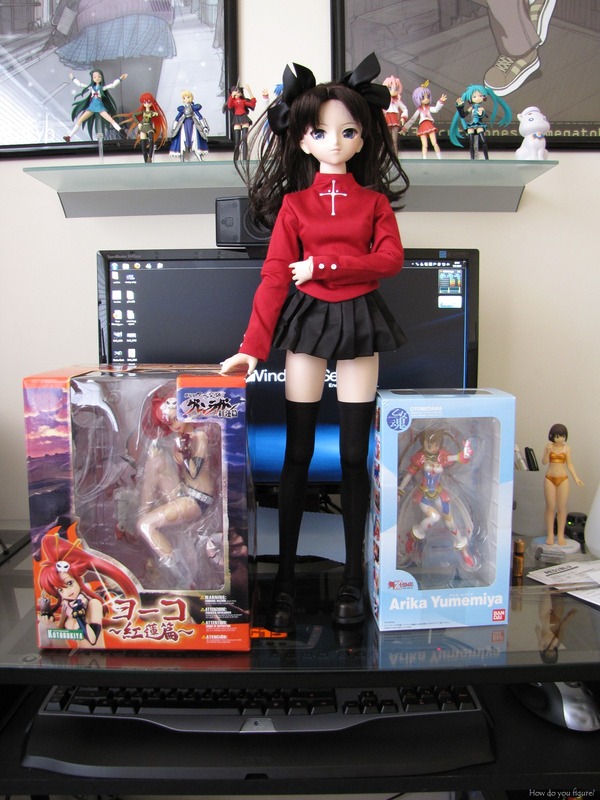 Rin is also new to my family this month, but since she already got her own post, I won’t talk about her here. 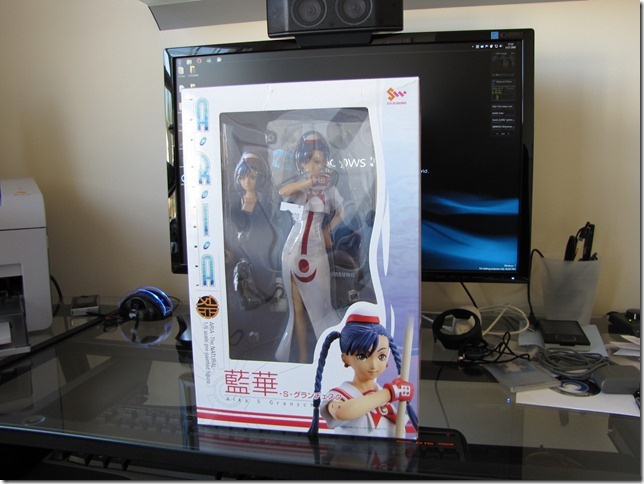 She took awhile to track down, but I finally found the 1/4 scale FREEing Ryoko Asakura bunny figure for a decent price. Thanks to MooMooCow on Dannychoo.com, who made the decision to part with this beautiful figure and sell her to me for the great price of $125. 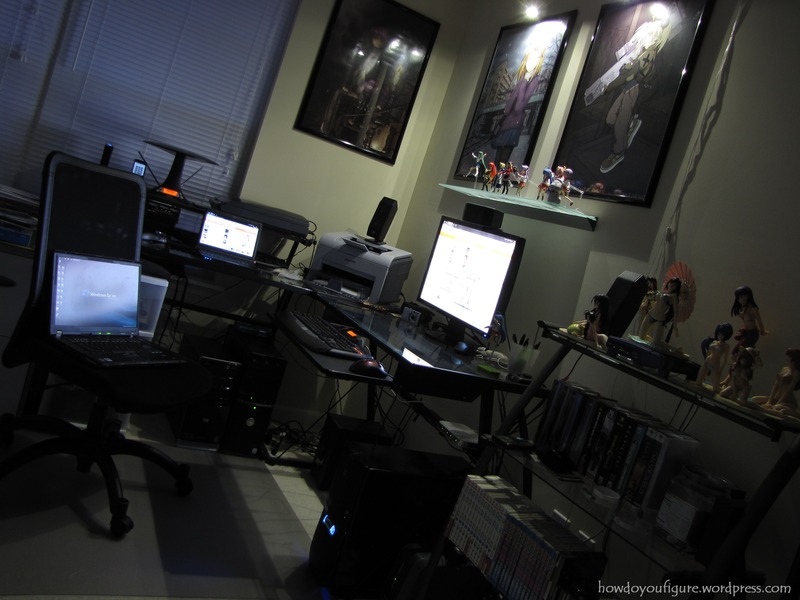 Up until this point, I’d been scouting out eBay and other sites, but without much success. 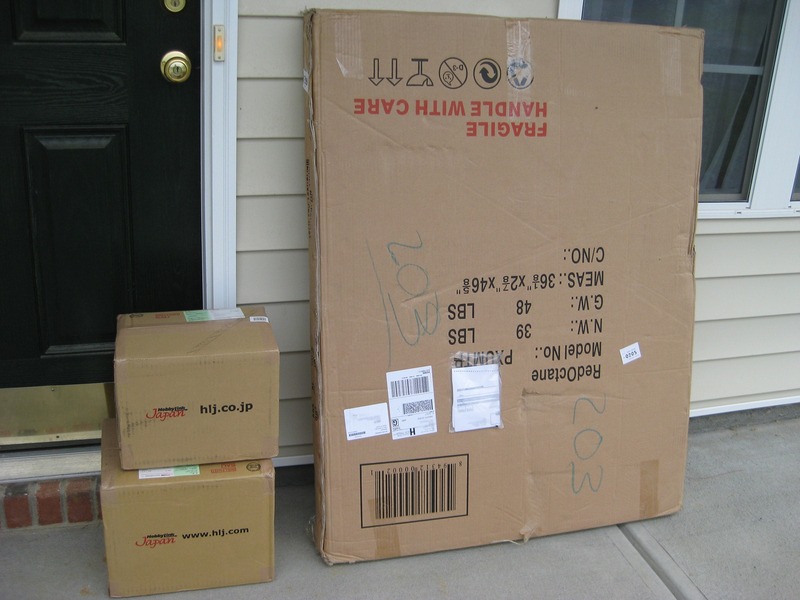 The lowest going price for a brand new figure had a minimum price tag of $150 plus shipping, with some listings going well into the $200 range. I like the Ryoko bunny, but I don’t like it that much. 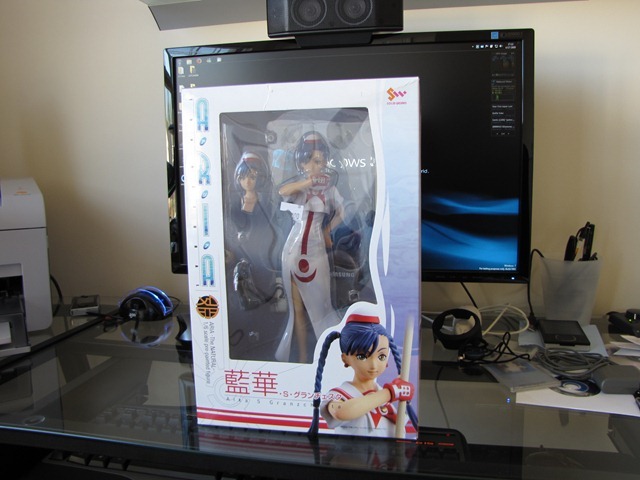 My longtime quest to obtain all the 1/6 scale ARIA figures is one step closer to completion! A packaged arrived the other day containing one Aika Granzchesta figure from Solidworks. Unfortunately, there aren’t very many ARIA figures out there and even fewer full figure series featuring all of the characters. 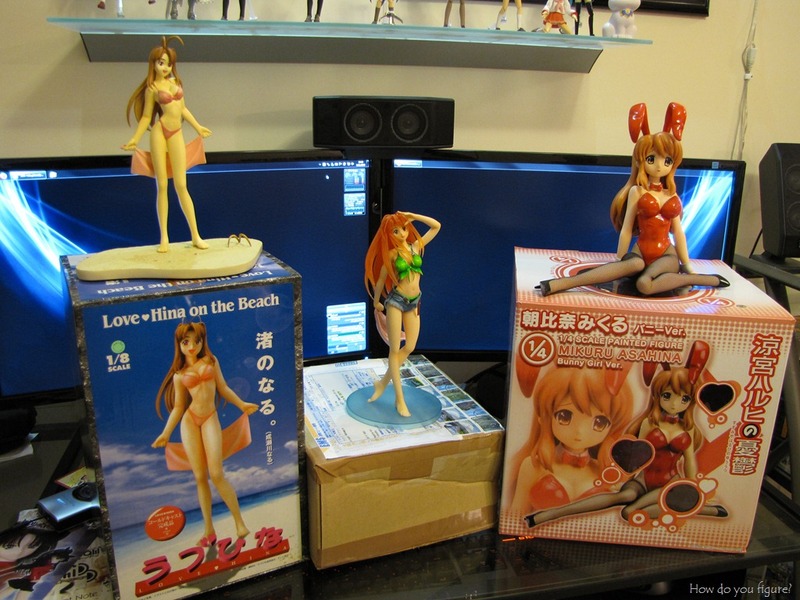 Ever since I picked up Akari at Animazement ‘07, I quested for the remaining 5 girls. 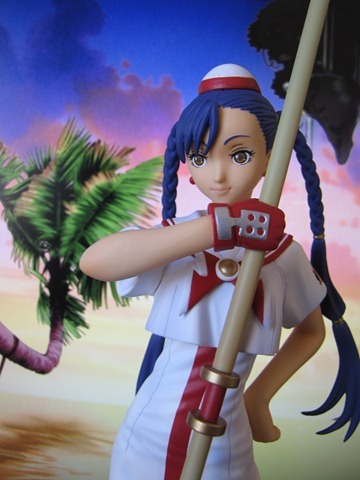 As with the other figures in the series, Aika comes with an oar, nice display stand (she’s attached to it using screws), and a rendition of her company’s mascot (in this case, President Hime). This particular figure is unique in that she comes with two heads, each with a different hairstyle and expression. 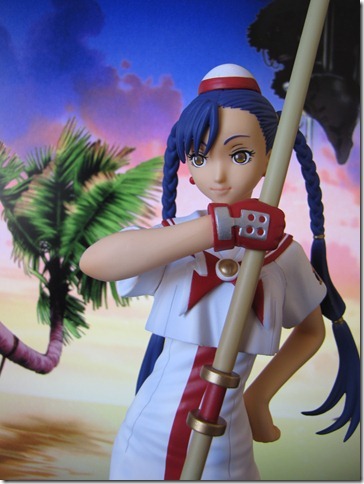 The default head is her original look at the start of the series. The alternate head is modeled after her accident during a barbeque and subsequent change in look. Personally, I prefer the original style better, however I had grown to like the later style when she is in civilian clothing. 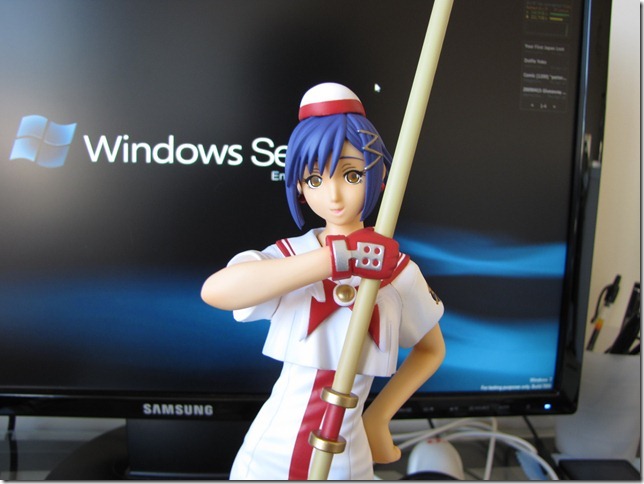 Overall, quality of the figure is good with very few noticeable seams or defects. I’m also a big fan of the way the uniform’s wrinkles are colored to give the impression of shadows even in low light. The only flaw I’ve noticed is with the way she was packaged. Since she came with the original head on, the ends of her pigtails were pressed into her back. Since she has blue hair, the friction had caused some of the paint to transfer to the white uniform. This could have easily been remedied by a thin piece of plastic wrapping stuck to the back of the figure prior to packaging.